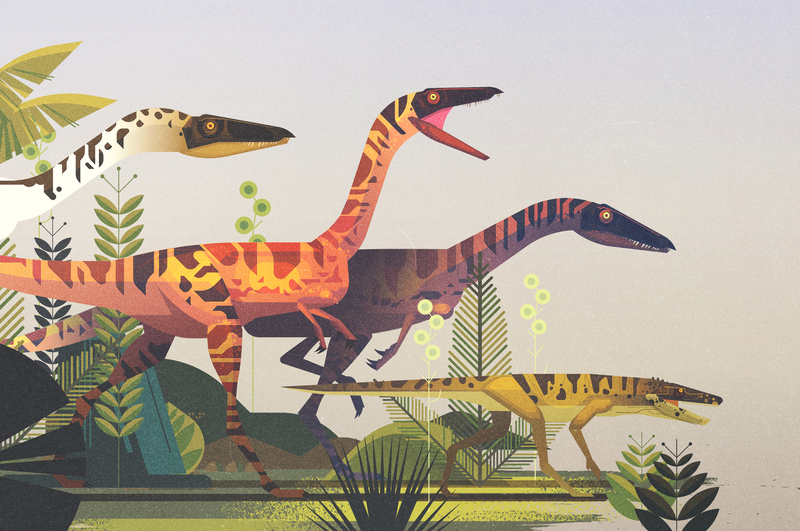 James Gilleard envisions lost prehistoric lands in The Dinosaur Atlas, a book by Lonely Planet Kids. Showcasing a beautiful array of dinosaur species, where they lived and how they were discovered, these illustrations offer a magical insight into the Earth’s natural history. From the first page, children are immersed in a lively journey around the world. Adventuring through changing landscapes and passing times, they are accompanied by a vibrant mix of characters. With James’ organic textures and rich colour schemes, these long-lost creatures are brought back to life.